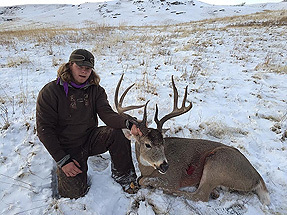 This outfitter has private leases in several units in north central Wyoming. Whitetail numbers are high and respectable bucks in the 130 + range are killed. The very top end is in the 150’s - 160 range. 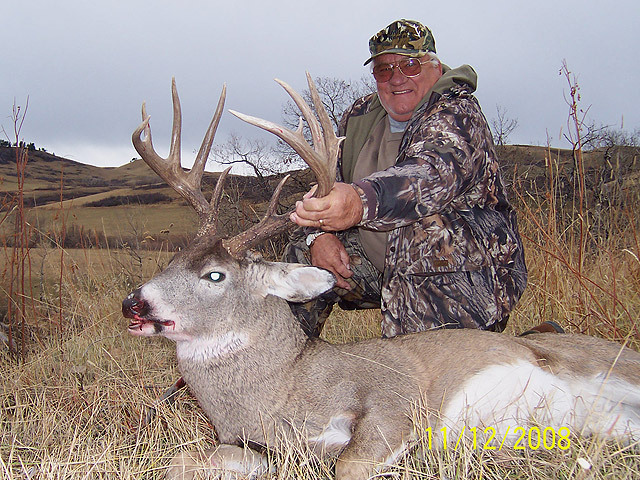 A fun hunt where you can see a lot of deer. 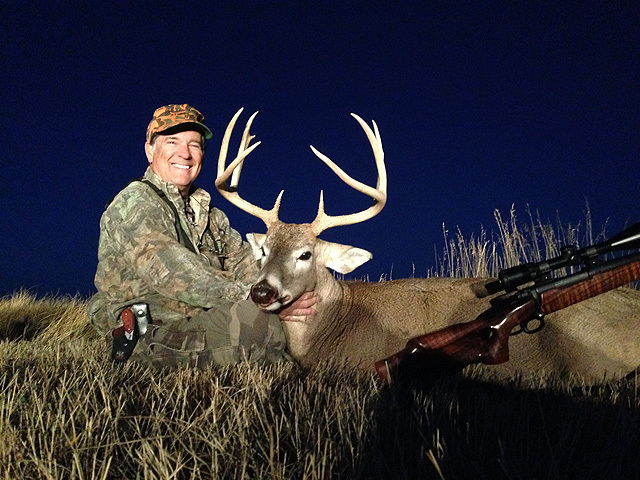 Rifle hunting is by spot and stalk and stand hunting. 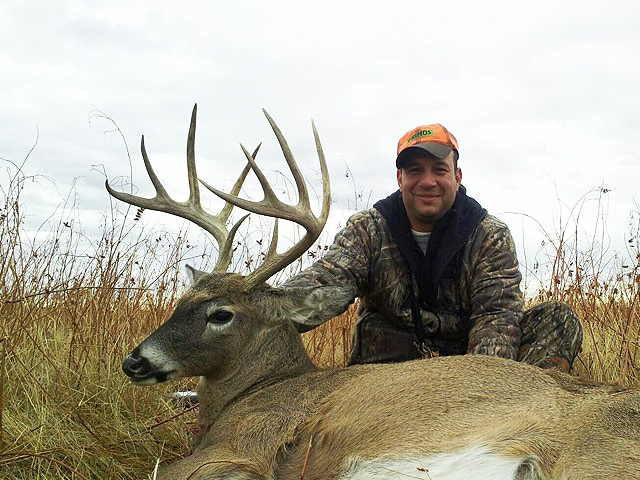 Archery hunts will take place from tree stands or ground blinds. 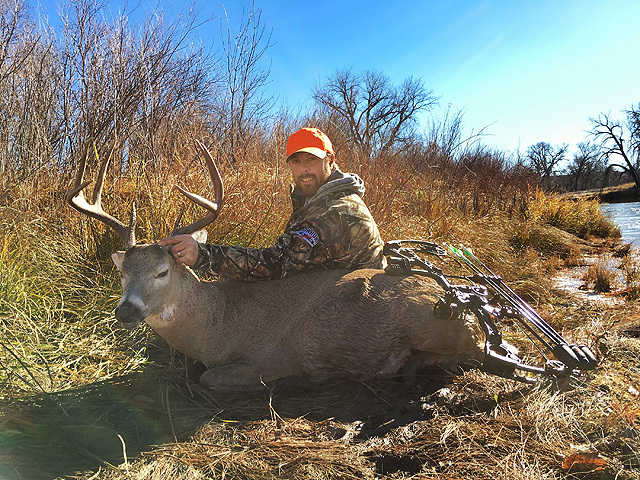 Crossbows are legal during archery season. Application period for deer license is January 1 -May 31. 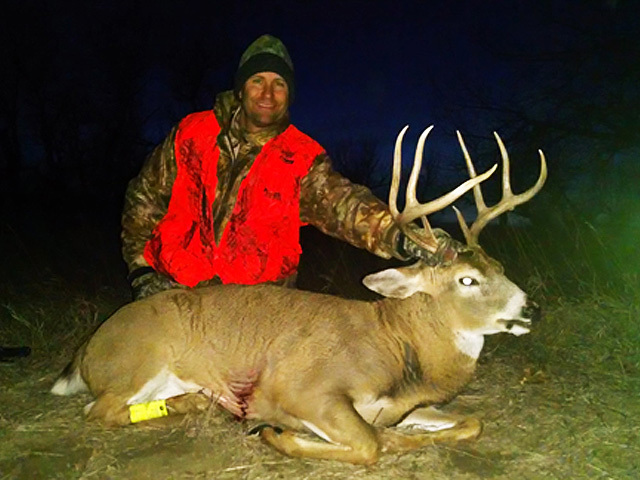 Draw odds have been 100% for whitetail deer. 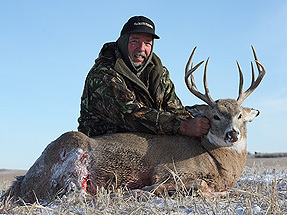 A hunter’s safety card is required if born after January 1, 1966. Archery hunters are not required to have a hunter’s safety card. Can also be done as a whitetail deer / antelope combo for $5000. 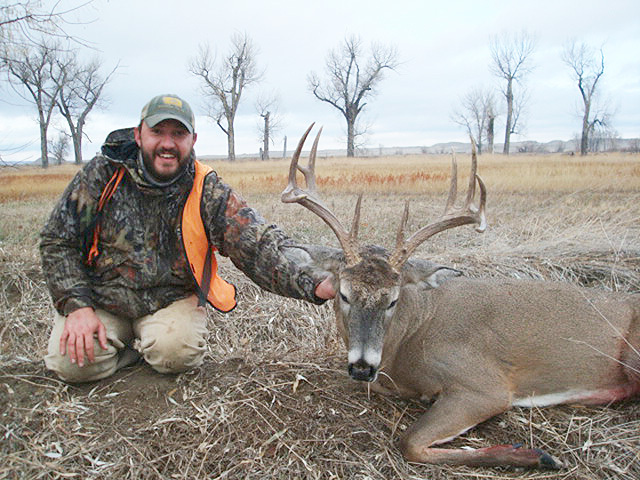 This hunt takes place on some of Eastern Montana’s finest whitetail country. The land is made up of river bottoms with large hay and grain fields leading up to rolling grasslands with broken patches of trees and brush spread throughout the hills. 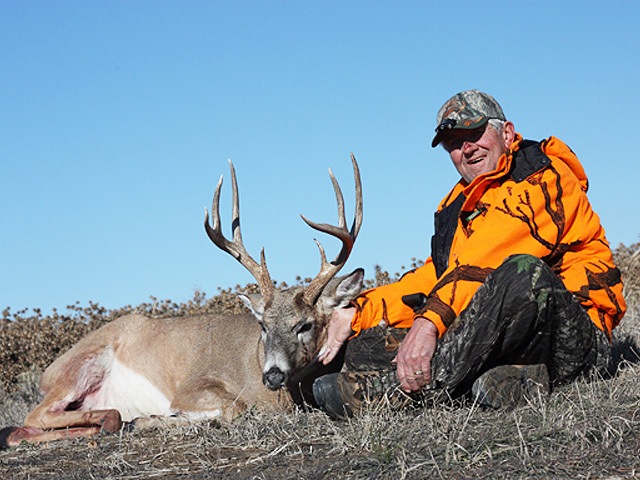 If you are looking for a hunt where you can see a lot of deer and don’t need to kill a Boone and Crockett buck, this is one to consider. Deer numbers are good as they tend to be concentrated along the river bottoms. 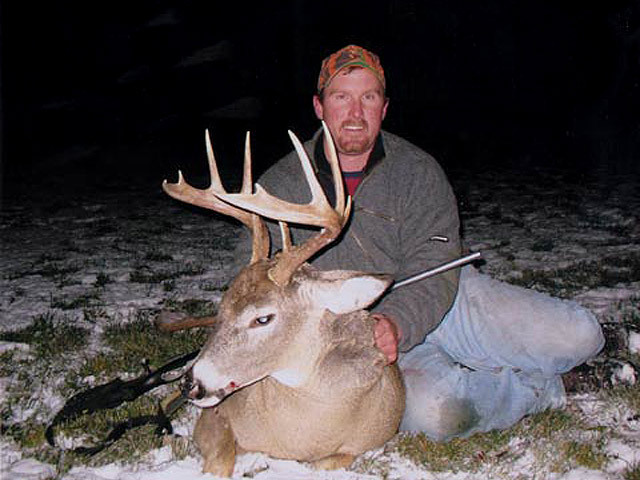 Bucks typically score from 120-150. Both archery and rifle hunts are held. 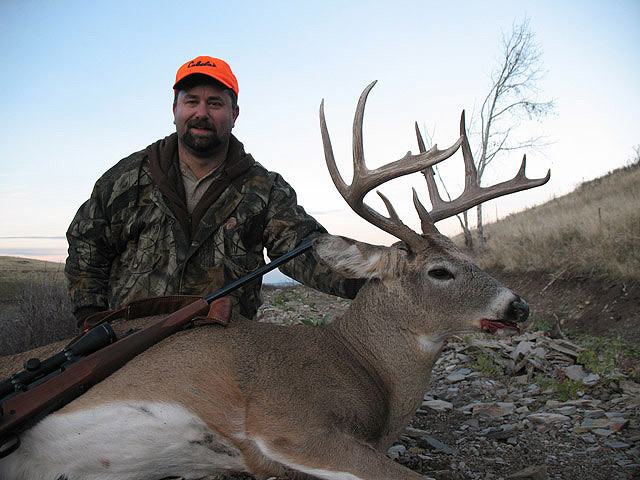 Bow hunts are primarily stand hunts while rifle hunts employ both stands and spot and stalk. These hunts are held in “General Units” and the draw odds have been 100% with no bonus points. Archery season is September 3 – October 16 and rifle season is October 22 – November 27. 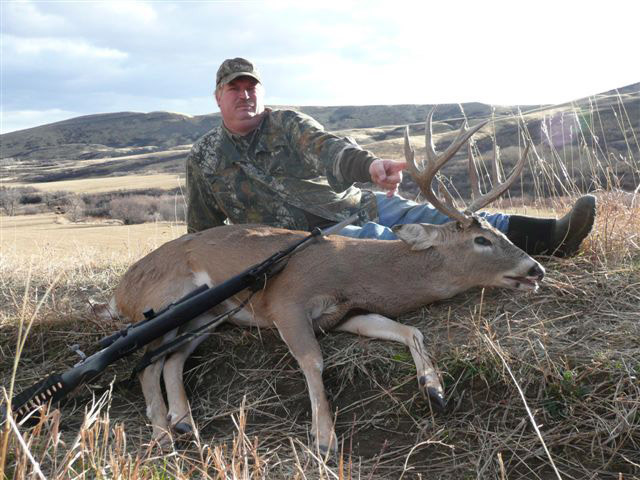 This hunt takes place on private ranches in north central Wyoming. It’s not a place to kill a huge whitetail but a place where you can see a lot of deer and kill a respectable buck. Bucks typically score 120-140. 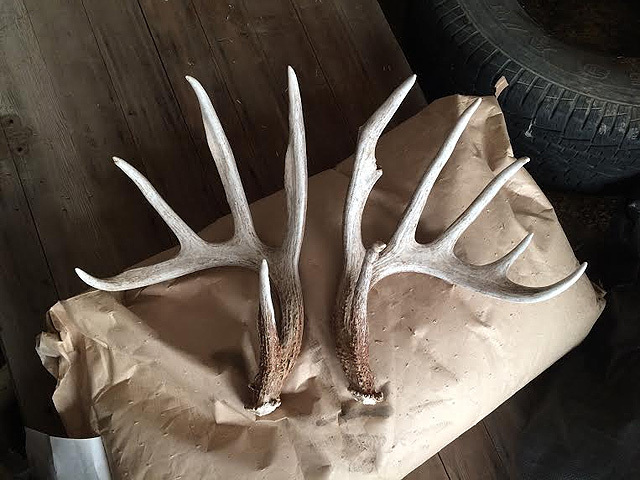 They killed 10 bucks over 140 in 2017. Rifle hunting is by spot and stalk and stand hunting. 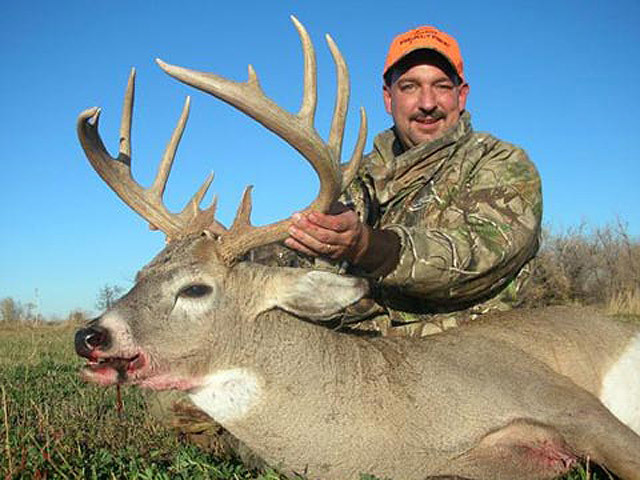 Archery hunts will take place from tree stands or ground blinds. 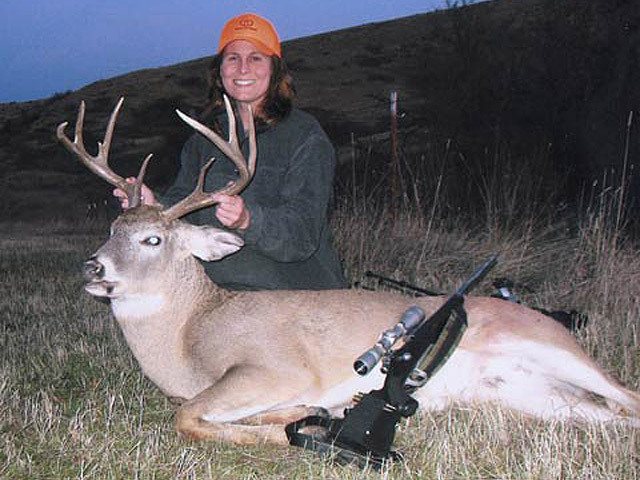 Application period for deer license is January 1 - May 31. Draw odds have been running close to 100% for deer. 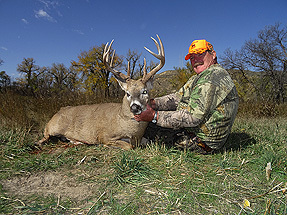 A hunter’s safety card is required if born after January 1, 1966. 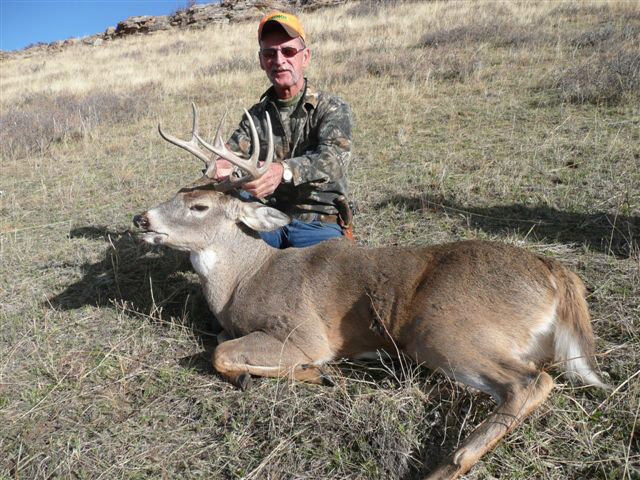 Can also be done as a whitetail deer / antelope combo for $5000 - see Hunt 64-WDPA. 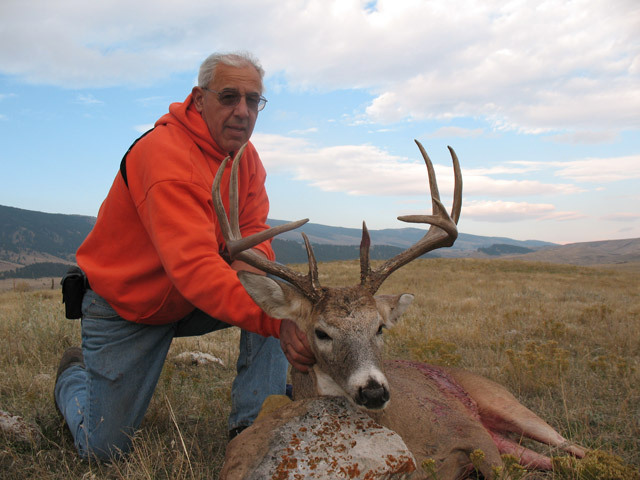 Hunt private ranches at the base of the beautiful Bighorn Mountains in northern Wyoming. This area contains both mule deer and whitetails. Whitetails taken score 110-140 with 150 being the top end. Hunting is spot and stalk and stand hunting. Past hunters have enjoyed a 100% success rate. Application period is January 1 - May 31. Up to 6 hunters can apply as a party to ensure all get drawn. This unit typically runs 100% on draw odds for deer. If available, leftover tags can be purchased in early July. Outfitter will apply for you. A hunter’s safety card is required for rifle hunters if born after January 1, 1966 - not needed for archery hunters. Crossbows are legal to use during archery and firearm season. Outfitter also offers airport pick-up and drop off at no charge. 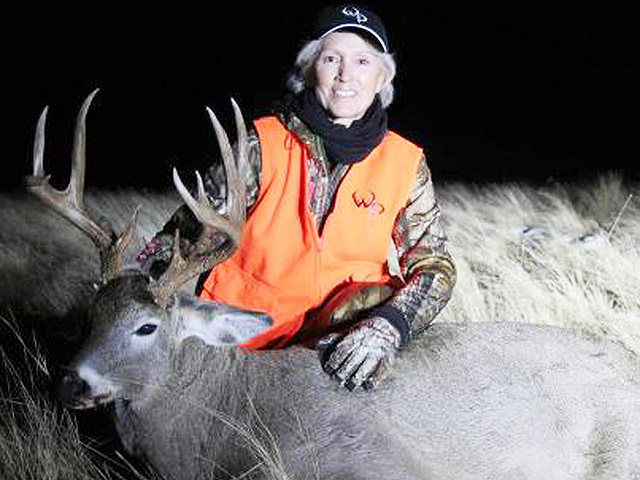 This hunt takes place on private ranches during the month of November when the whitetail rut is in full swing. 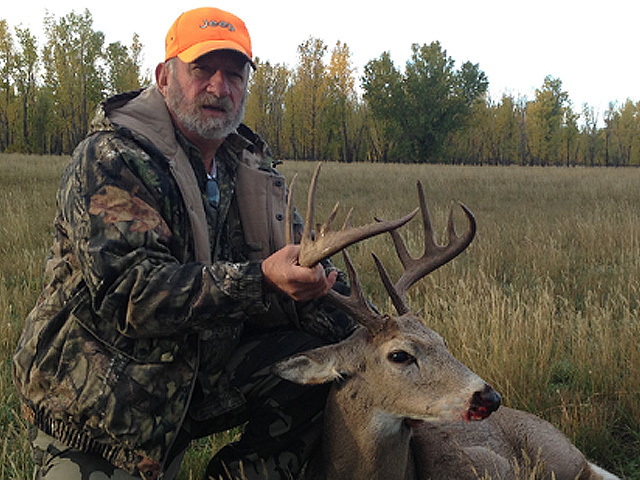 Open country coupled with lots of buck activity makes for an exciting hunt. Seeing 10-20 bucks per day is common. Bucks average 110 - 140 B&C with potential for a bit larger. 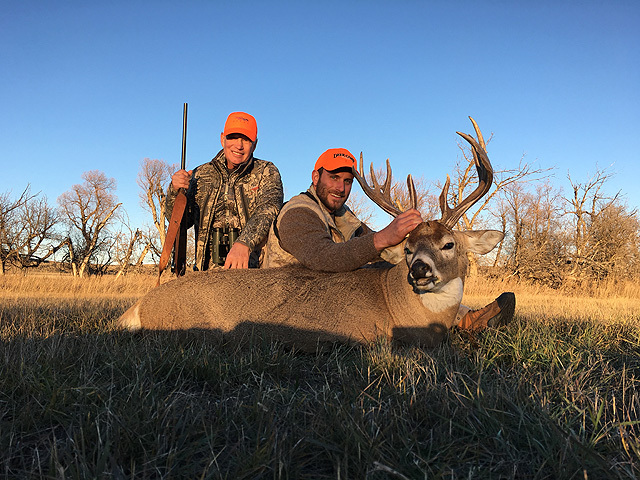 Spotting a trophy whitetail and then making a short stalk is the primary method of hunting with stand hunting being a secondary method of hunting. 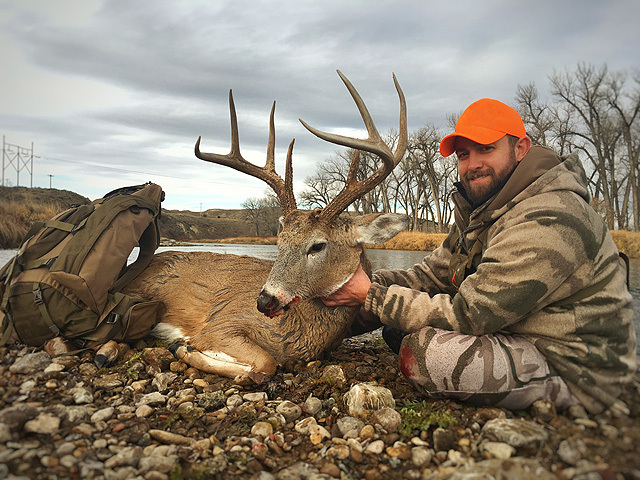 Includes guides, (2 hunters/guide), lodging, meals, transportation during the hunt, delivery of meats and mounts to taxidermist or processing plant, airport pick-up and drop-off (Sheridan airport). Application period is January 1 - May 31. This unit typically runs 100% on draw odds for deer. If available, leftover tags can be purchased in early July. A hunter’s safety card is required for rifle hunters if born after January 1, 1966 - not needed for archery hunters. Crossbows are legal to use during archery and firearm season. 4 Day Hunt - $2750 (Nov 6-25). License cost is $326 plus $12.50 conservation stamp.